Fast-paced business and lifestyle show featuring motivation, inspiration and innovation by the top influencers of their industries, hosted by Ana Rosenberg. Are you ready to create a great business as a part of a great life? 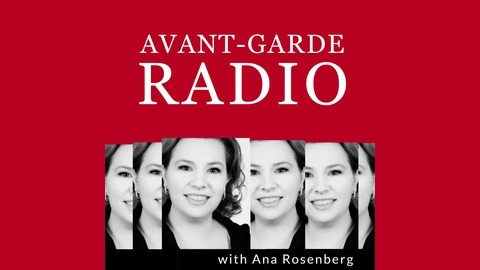 Welcome to Avant-Garde Radio, featuring world top minds, authors and industry trendsetters haring their best ahas, secrets and strategies. 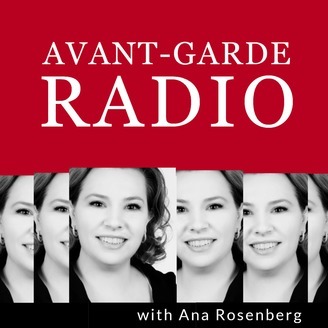 To listen to past and future episodes, visit avant-garde-radio.co.business. Ana Rosenberg interviews Roberto Monaco in a conversation that goes beyond building Public Speaking Confidence into the fascinating realms of sales, influence and engagement. In this a fun, energizing conversation. you'll get tips and strategies to engage your audience, tell your story and sell. (I would not miss the tip on having great energy for your close). Roberto Monaco is a master at helping different industries acquire more business and create new leads through the Art of Public Speaking. To learn more about Roberto's work, visit ​influenceology.com.